They say tutoring children is more effective when they are interested in the subject. The question is, how you make the tutoring session interesting? As a provider of in-home spring break tutoring Santa Clarita, CA for years, Santa Clarita In Home Tutoring was able to identify strategies to make the tutoring session more engaging to children. How can you make it fun and enjoyable? There are plenty of ways. Here at Santa Clarita In Home Tutoring, one way to do it is to introduce a strategy that is, shall we say, unconventional; something that your child does not usually experience in a classroom setting. It could be in a certain learning process that has ‘game’ elements in it. Another is through recognition. A good tutor should never fail to recognize accomplishments. For instance, when a child was able to answer 10 math problems in a shorter time or when it got 10 out 10, the child deserves some recognition. 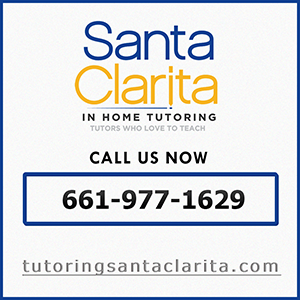 Here at Santa Clarita In Home Tutoring, we give great importance to communication in all of our tutoring sessions, including in our spring break tutoring Santa Clarita, CA. With decades of experience in the tutoring industry, we have understood that communication is key to effective tutoring. If there is a communication gap between the tutor and the child, then there is a great chance that the whole tutoring session becomes a failure. For this reason, it is imperative that any signs that can lead to communication gap should be addressed early on. With established communication, the tutoring session becomes participative. A child can easily open up on the issue he/she has with the subject being learned. In the same manner, the tutor can address any concern right away. In other words, make the session more engaging by making it sure that you understand the child’s concern and issues and that the child understands your thought as well. Studies show that ‘interaction dynamics’ make studying more effective, which means that when a child is having a group study with his/her peers, it allows to absorb the lesson more easily. Sharing of thoughts/ideas among them makes them polish their learning. So, if you are having a tutoring schedule with your child over the weekend, you might want to invite his/her friends from the neighborhood to join in.